Hidden Gem! 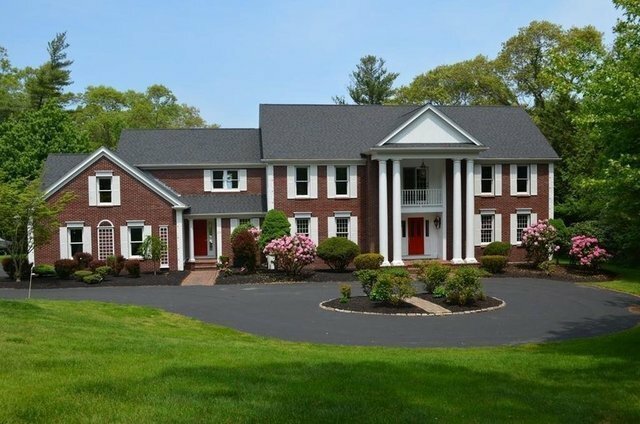 In close-knit COVETED neighborhood of Damons Point, this stunning Georgian Colonial on nearly 4 acres of waterfront property will capture your heart and soul! With direct North River access for kayaking, canoeing & fishing, and tremendous views from your private deck & 4-season sunroom, this property is THE PLACE to restore, enjoy and raise your family (or welcome back your grand children!). Elegant and gracious exterior and marble foyer, but comfortable cozy & gathering rooms makes the perfect combination to both entertain AND relax! The 1st floor has a spacious open kitchen/family rm (with wet bar and FP) that leads to the enchanting (!) heated sunroom overlooking the River. Home office, living & dining rms complete the first floor. Large suite over the garage has a full bath and is perfect for guests or as an additional study. Dramatic master suite with those amazing views, closets and large spa bath. 3 more en-suite BRs!